This project ended successfully on 31/12/2017 15:00! Receive a thank you card or have a personalized gift donation card sent as a present when you donate on behalf of a friend. Shipping early January. Receive our first collection of accessible climate articles, and a thank you card or have a personalized gift donation card sent as a present when you donate on behalf of a friend. Shipping early January. Receive a set of 9 greeting cards featuring exquisitely detailed oil paintings of flowers by Glazar James. An exclusivity of Climanosco. In addition, receive our first collection of accessible climate articles. Shipping early January. Receive a CD with 12 contemplative, relaxing tracks of piano music inspired by nature by self-taught composer Olivier Delalande. In addition, receive our first collection of accessible climate articles. Shipping early January. You are invited to an interactive 1-hour workshop with Climanosco’s president, Michel Bourqui. Depending on your location and availability, the workshop will take place in Zurich, Switzerland, or over Skype in January-February 2018. In addition, receive our first collection of accessible climate articles. Shipping early January. Receive a beautiful silk shawl featuring an exquisitely detailed oil painting of a flower by Glazar James. An exclusivity of Climanosco. In addition, receive our first collection of accessible climate articles. Shipping early January. Choose any two items from those listed above, or one limited edition fine art print of the painting "Deep Into This Light" by artists Glazar James who partner with Climanosco to make climate science accessible. Oil Inks on Hanhnemühle Photo Rag Ultra Smooth 305gsm, 51 cm x 51 cm. In addition, receive our first collection of accessible climate articles. Shipping early January. 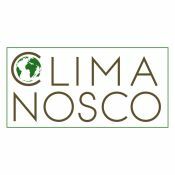 Climanosco is an independent, non-profit association founded in 2015 in Zurich, Switzerland. Its mission is to make climate science accessible to everyone. Today, it has over 120 members across 20 countries. It has a board of directors and a board of scientific editors. It published its first collection of accessible climate articles and just launched its new, improved website. 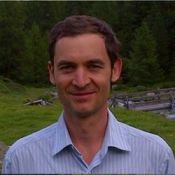 Michel Bourqui is a graduate from the EPFL in Physics and a doctor in atmospheric sciences from the ETHZ. After a 15-year international carrier in academia, where he worked as a research fellow in Switzerland and England and as a professor in Canada, he founded the independent, non-profit association Climanosco to help make climate science accessible.